New Dodd-Frank whistleblower provisions protect financial services employees who disclose information about or report fraudulent or unlawful conduct involving the offering, provisions, or sale of a consumer financial product or service. Dodd-Frank even protects employees who refused to or objected to participating in activity that the employee believed to be in violation of any rule subject to the jurisdiction of the Bureau of Consumer Financial Protection. If a financial services employee believes that he or she has been retaliated against for engaging in protected activity, he or she must file a complaint with the Department of Labor within 180 days of the retaliatory act. Similar to Sarbanes-Oxley retaliation law, the employee needs to show that the protected activity was a contributing factor to the adverse action. The employer will be successful if it can show by clear and convincing evidence that it would have taken the same action in the absence of the protected activity. Either party can appeal an adverse decision so that it is heard by an Administrative Law Judge. If no final order is issued within 210 days of the filing of the complaint, the employee may bring the claim in federal court. 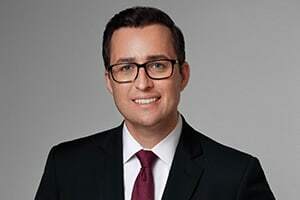 If you reside in or have been employed in New York or New Jersey and have a Dodd-Frank retaliation claim, you can contact Attorney Eric Dinnocenzo at (212) 933-1675 for a free consultation.